The Brown Marmorated Stink Bug (“BMSB”) belongs to the order Hemiptera (or true bug) and is formally known by entomologists as Halyomorpha Halys. It also goes by several other names including the yellow-brown stink bus and the East Asian stink bug. “Marmorated” means exhibiting marks or streaks like marble and well-describes the bug’s brown mottled color. These bugs are a major crop pest native to Asia causing significant damage to soybeans and various tree crops. In New Jersey, these insects are an exotic invasive species because they are non-native to our ecosystem and have managed to thrive once introduced. Both Rutgers and the New Jersey Department of Agriculture actively monitor BMSB activity throughout the State. How are stink bugs identified? The stink bug’s eggs are light green in color and can be found on the underside of leaves in clumps of 20 to 30 eggs. Eggs are only found outdoors on plants because stink bugs cannot reproduce indoors. Eggs are laid from June to August. Stink bugs feed on a wide variety of host plants including fruit trees, legumes, and woody ornamentals. The bug goes through five instars (nymphal stages) that take about a week each. Nymphs are first red, turning almost black, and then finally change into their distinctive brown color as adults. Adult stink bugs are approximately 17 mm long, or about two-thirds of an inch. Adults can be identified by its characteristic antennae markings: alternating dark and light bands. Their underside is white or pale tan, sometimes with gray or black markings. The legs are brown with faint white banding. The stink glands are located on the underside of the thorax between the first and second pair of legs. Why do stink bugs invade our New Jersey homes? The harshness of winter can be a challenge for all of us. Warm-blooded creatures, like humans, other mammals, and birds, at least have the ability to generate their own heat by converting the food they eat into energy. Sometimes the ability to maintain a constant body temperature is overwhelmed and we suffer from hypothermia. But at least we have a fighting chance. For cold-blooded reptiles and insects that take on the temperature of their surroundings, winter is downright brutal. Yet, every spring, when temperatures rise, insects are once again crawling and buzzing around as though winter never happened. How do they do it? These resilient creatures have developed a variety of winter survival adaptations to make it through the winter. Scientists call this process “overwintering.” Here in New Jersey, insects like the BMSB survive by finding local overwintering sites that provide them with warmth and protection. And there is nothing like the warmth of a home with its insulated walls and a heating system that makes the inside of a building warm and toasty, a welcome refuge from inhospitable outdoor temperatures. Are stinkbugs taking over your home? 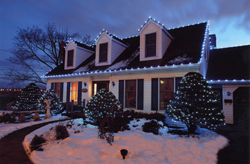 Have you noticed an increased amount of stinkbug activity in the cold weather? Check out our in-depth stinkbug technical papers for further information by clicking the "Learn More" button! What can Cowleys do to help with stink bug control issues? When it comes to stink bugs, the best time to contact a pest control professional is when these bugs are congregating outside of your home seeking an avenue of entry. Cowleys Pest Services can implement an effective treatment plan outside of your home to help keep more of them from entering. The objective is to deal with just a few scattered appearances of these unwanted pests inside your home, not hundreds of them. The optimal period for barrier applications is when the bugs are beginning to respond to decreasing temperatures and looking to overwinter. Depending on temperatures, this can be anywhere from late August through October. An exterior, preventive spray can have dramatic results. Stink bugs hibernate until the spring, so the best time to treat for overwintering bugs is in the early fall. Spraying creates a highly effective residual barrier, but like any pest control treatment, 100% elimination is impossible. 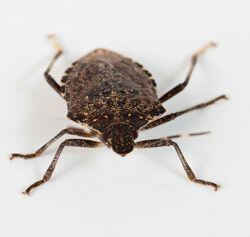 Nevertheless, a thorough external treatment will go a long way in reducing those stink bug sightings inside your home. Also, a barrier treatment will help keep other overwintering bugs such as ladybugs and boxelder bugs from entering your home. The effectiveness of the application is limited to a few weeks so several treatments may be required depending upon the level of overwintering bugs in your area. If you're suffering from a stink bug control problem, contact the experts at Cowleys Pest Services to diagnose the issue and provide long-term solutions to rid your home of these pests. We exterminate stink bugs in Edison, Woodbridge, Lakewood and nearby Mercer, Ocean, Monmouth, Middlesex County.